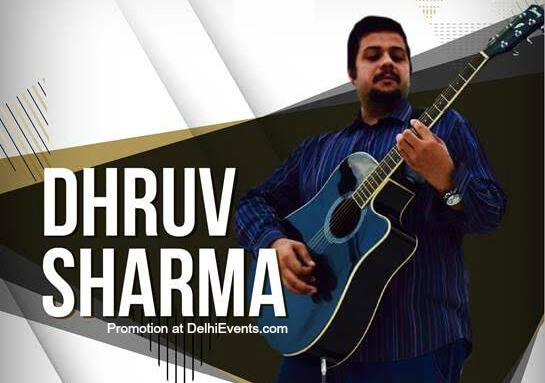 Dhruv Sharma is a professional acoustic singer based out of New Delhi. A talented multi-genre vocalist, he is proficient in singing English and Hindi songs. Dhruv blends English and Bollywood tunes with the sweetness of the acoustic guitar. Rock, pop, alternative rock, punk, classical, Bollywood, Western classical and other genres influence his work and his interest. Dhruv has graduated from AR Rahman’s School in Chennai (KM Music Conservatory). He excelled in Western classical vocals (Opera). His performances have been seen at various establishments across Delhi, Mumbai, Chennai, Bhopal, Jaipur, Aurangabad, Agra, and all the way to the Maldives. Aditya Sharma, a refined musician who has been playing for the past 12 years and has a very original style of playing percussion.He draws his inspiration from musical genres from all over the world. He's been part of the Acoustic Project for the past three years.